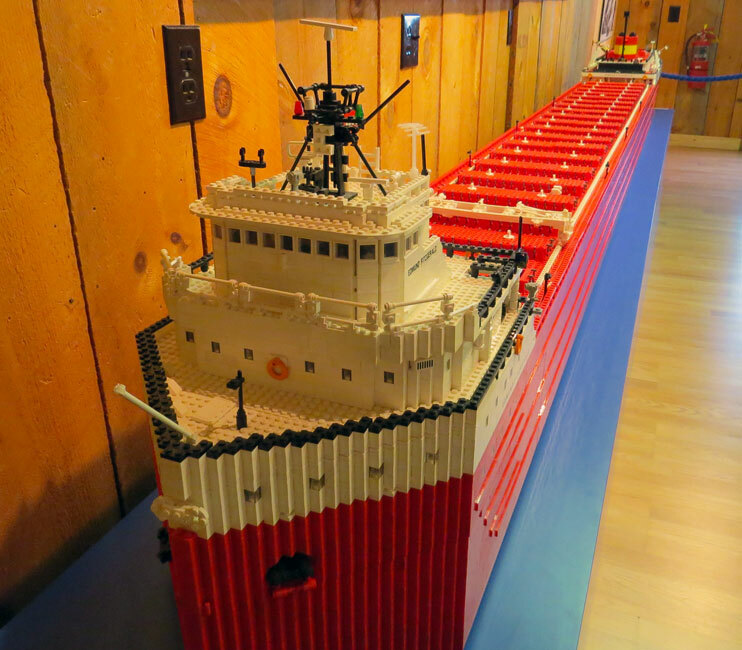 The story of the Edmund Fitzgerald has inspired song, prose, and art including this 18,000 piece 1:60 scale model by high school teacher John Beck. The project began in 2004 to teach his students about shipping. Nine years later it is almost complete. Most upper Midwesterners know the story of the Edmund Fitzgerald, a lake freighter that sank in Lake Superior in boiling waters kicked up by a snowy gale around 7:15 p.m. on November 10, 1975. The mystery surrounding its sinking has entranced people far and wide since it was only 17 miles from the safety of Whitefish Bay when the ship met its end. Each anniversary of the sinking, relatives of the 29 people lost on the Edmund Fitzgerald, in addition to locals, and the curious but reverent general public; crowd into the Great Lakes Shipwreck Museum’s shipwreck exhibit at Whitefish Point to memorialize the event in a somber ceremony. I attended the event in 2012 and had a chance to talk with two family members about the men that they knew on the “Big Fitz”, plus witness the ringing of the ship’s bell which was retrieved from the sunken wreck in 1995.